Yesterday, Josh and I had a lazy day off together. There were plenty of wedding things we could/should have been doing, but we went out to lunch and then made dinner together. It was a wonderfully relaxing day and, yes, I did take a small nap. No day off would be complete without one. 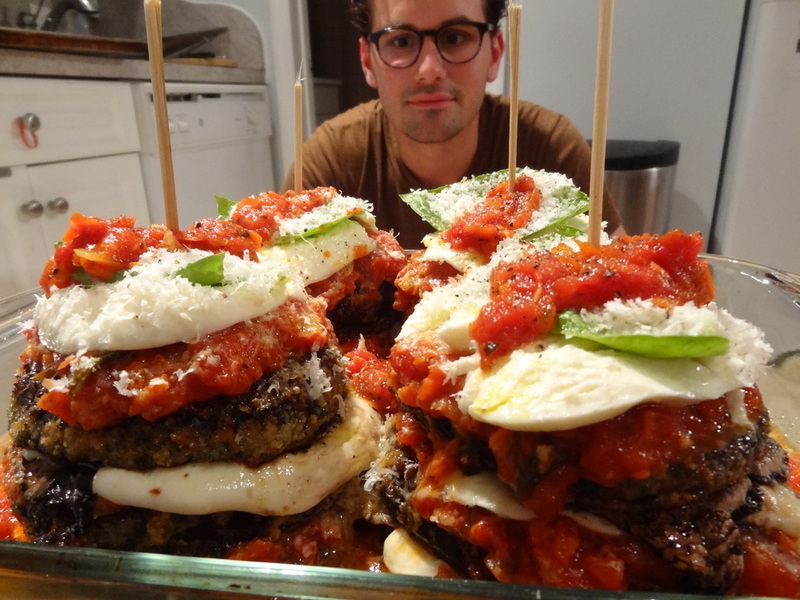 For dinner Josh made Eggplant Parmigiana roughly based on this recipe by Mario Batali. 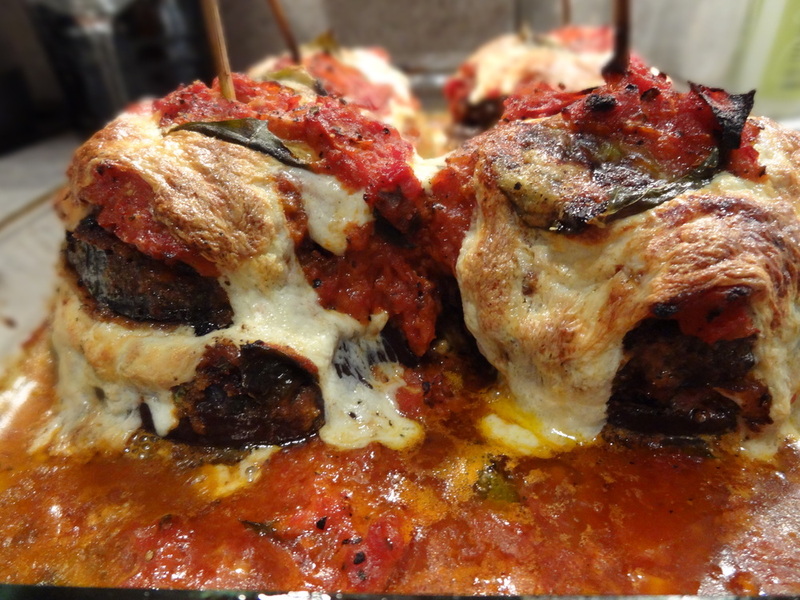 In addition to the the eggplant, we added slices of portobello mushrooms to the stacks. We didn't take any pictures of the us making the sauce or breading and crisping up the eggplants, but here's what we did get. Excitement before going into the oven! They look gorgeous! We eat with the eyes first. Doesn't it look mouth-watering?? Trust us, we both cleaned our plates!